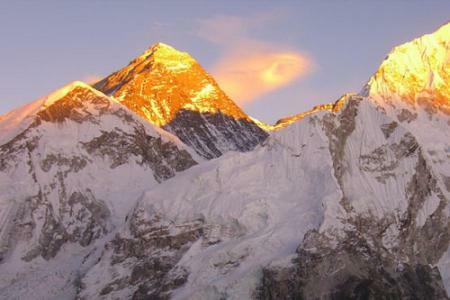 A trek to Everest Base Camp is high on the bucket list for many trekkers. It’s easy to see why. 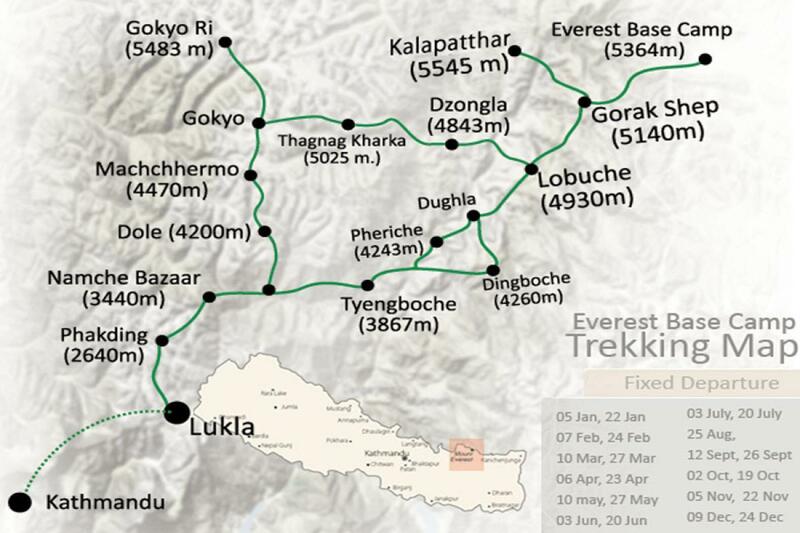 The trail weaves along the foot of many Himalayan giants and the views of Mt Everest and many other seven and eight thousand meter peaks are just unforgettable. Everest Via Gokyo Ri Trek is a high altitude trek which first explores Sherpa Homeland ( Namche Bazar) then the trail ascends to stunning Gokyo Valley to the glacial lakes under Cho Oyu( 8153m.) 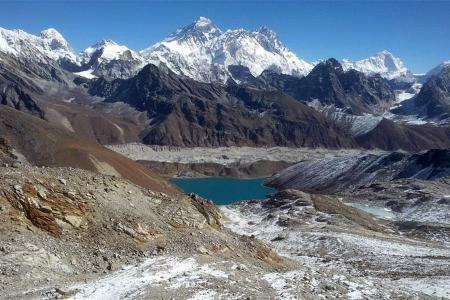 .Everest Via Gokyo Ri Trek offers the magnificent views of Majesty Himalayas which includes, Mt. Everest ,Mt. 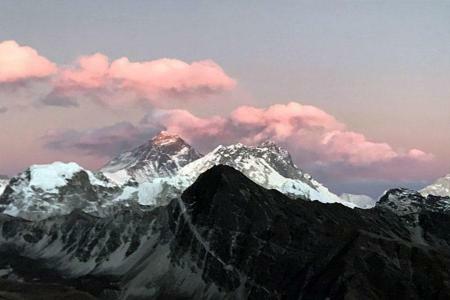 Lhotse, Makalu, Cho Oyu. Except stunning mountain views this adventurous trekking offers the popular Cho la pass, Sherpa’s hospitality, flora and faunas of Sagarmatha National Park, wonderful Buddhist monasteries wrapped with prayer flags, Khumbu Glacier and much more. Kalapathar is another highlight of Everest Via Gokyo Ri Trek which is the very first place to experience panoramic views of Mt. Everest and its neighbouring mountains. 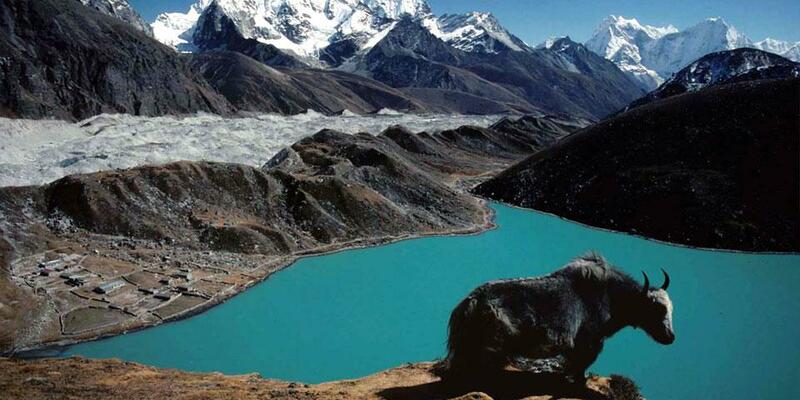 Gokyo Valley is also known as Yeti’s home. Accomodation in Everest region is now well maintained with clean room, hot and cold water showe somewhere available private bath in the lower part and also almost every where along the way to Everest base camp every guest houses has free wifi facility. In Namche there is now star level fancy hotels has been built. Rest you could enjoy with well maintained Guest Houses. Now almost everywhere along the way to Everest Base Camp, You could find variety of western, continental and Tibetan food. All guest house has menu basis restaurant and every trekker could order their food by choosing menu items. there is some guesthouse and hotel in Namche where you could find buffet system breakfast and food. Flight to Lukla is the gate way to take Everest Base Camp Trek, It is a small aircraft twin otter, 16 Passerger in one flight. It is a mountain flight to Lukla. As it is a small aircraft there is only limited baggage is allowed. Max 12 Kg baggage and Max. 6 Kg handbag is allowed for Kathmandu to Lukla flight. There is no specific physical fitness is required everyone could take the trip but it is essential to be in good health as you are trekking up to 5500m. People who have longs and heart and blood deseases must consult their doctor before taking part in the trip. After arriving in Kathmandu, our representative will pick you up from the airport and take you to our hotel. Today we will have welcome dinner hosted by Tibet Holidays in order to introduce your guide and trip briefing. Today is a relatively long hike but it’s a good trail and all downhill. The lower elevation makes things easier as well. The trek spends most of the day going down the Gokyo Valley with some good views of the peaks before you intersect back with the main route up to Everest Base Camp and head back to Namche. Will spend the night in Namche Bazar. In the morning, you'll hop a brief flight from Lukla to Kathmandu, where your journey both began and ends. You'll transfer to your hotel upon landing for some much-needed solo rest and reflection after your trek conquering the Himalayas, All the day free time visit markets and walk around Thamel city for shopping etc. We'll reunite in the evening for a farewell dinner at one of the best Nepalese restaurants in town, where we'll be eager to hear your feedback on the trip. It's your last day in Nepal! Grab some breakfast, and then take in some last-minute shopping in Kathmandu. We’ll make sure you arrive at Kathmandu International Airport with plenty time before your flight home. At this time, we’ll say our goodbyes and bid you farewell, armed with warm memories and gorgeous photos to show your loved ones. END OF OUR SERVICES.